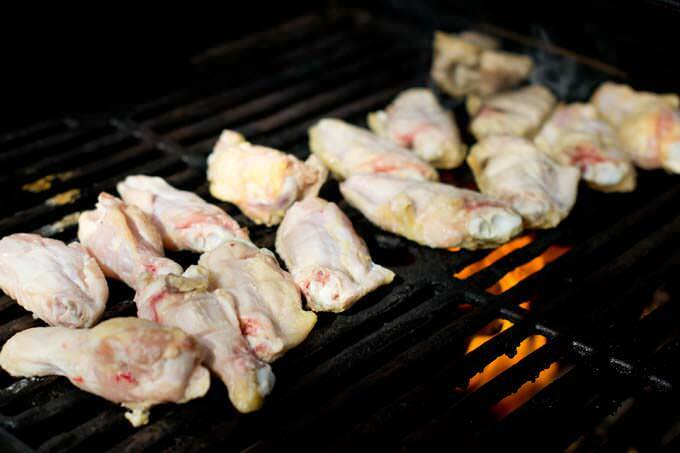 Get the low-down on how to grill wings. It’s super-easy and they are so totally delicious. 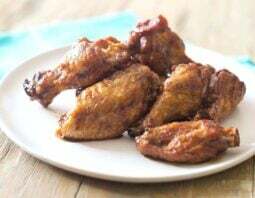 Grilled chicken wings are vastly different from their deep-fried brothers. When you grill wings they don’t get that crisp skin. Not at all. But you don’t want the alternative, limp soggy skin. Here I’m going to show you how to grill wings so that they have the best possible skin you can get from a grill. The key is getting a good char on them, and using a great sauce at the end. Note that some people marinade their wings first. I’m not opposed to this but I don’t find it necessary. Why not? Two reasons. 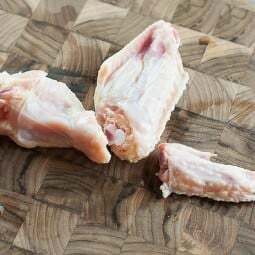 First, wing meat is very tender and juicy as it is so you don’t need the marinade for extra moisture. 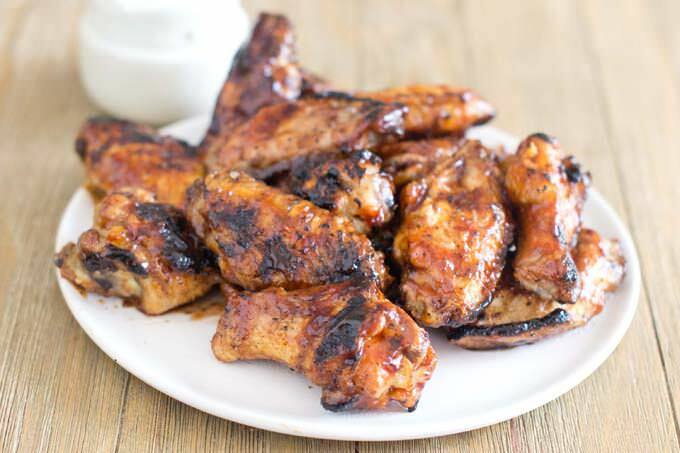 Second, if you have a flavorful sauce smothering the wings at the end, it overpowers the marinade anyhow. I say, skip that extra time and effort and get the wings on the grill ASAP. Oil your grill racks and then prepare your grill for direct grilling over medium heat, about 350ºF. I like to keep one burner off or on low in case some of my wings are cooked before others. 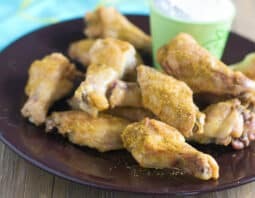 You’re going to cook the wings for about 20-25 minutes total. The way I do it is to start by leaving them on there, lid closed, for a few minutes. Then I use big tongs to have a look underneath them all. Some tend to get darker faster due to hot spots on the grill. If some are starting to char too much, I flip those over. Keep monitoring and flipping as they all darken. If a few pieces seem to be dark before others, shift them to a cooler part of the grill. They’ll keep cooking but not browning. 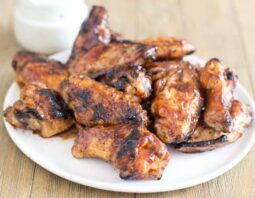 After 15 minutes, use an instant read thermometer in the center of a few wings to make sure that they’ve all reached 165ºF. If some aren’t quite there, give them another 5 minutes. What you want are wings that are nicely charred on all sides and cooked through. 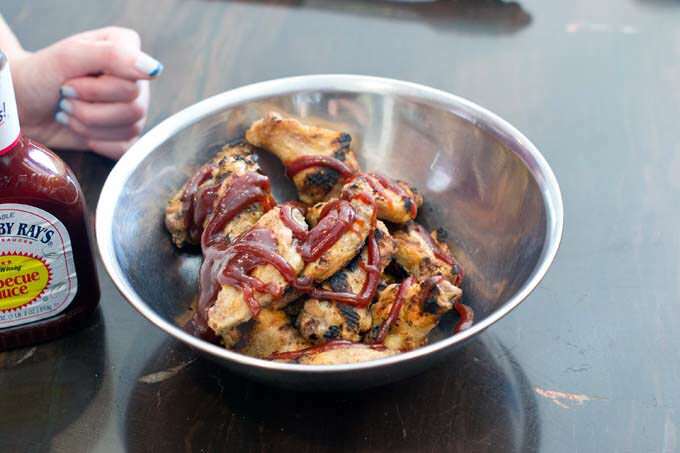 Use tongs to transfer fully-cooked wings to a bowl. Add sauce. You can go with a staight-up store-bought BBQ sauce or make something yourself. Stir them up, adding more sauce if needed to coat them well. Oil your grill racks and then prepare your grill for direct grilling over medium heat, about 350ºF. 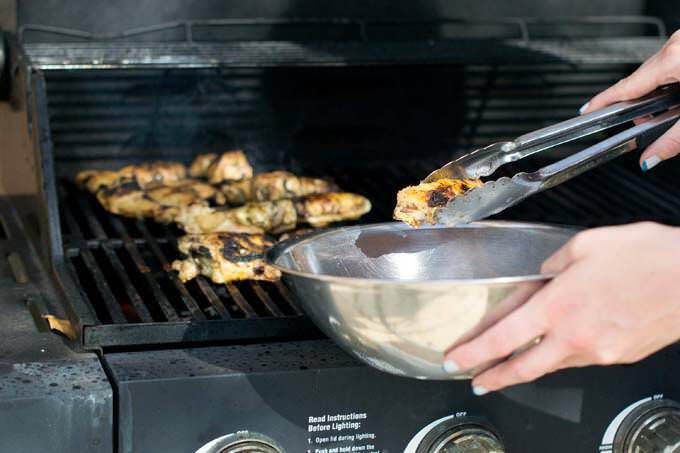 Keep one burner off or on low in case some wings are cooked before others. 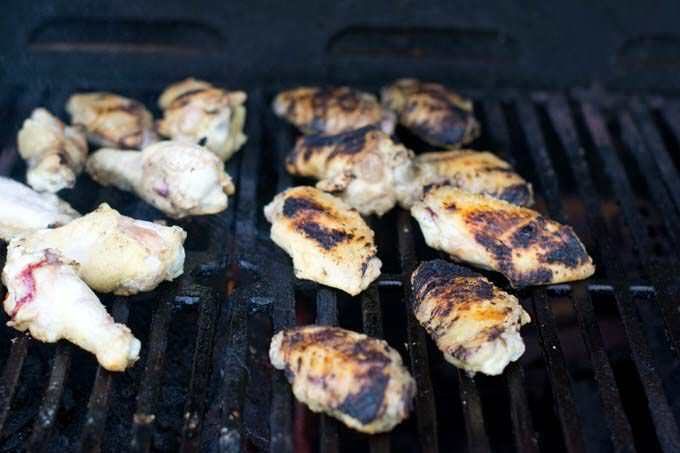 Put the wings in a single layer on the grill over the heat. 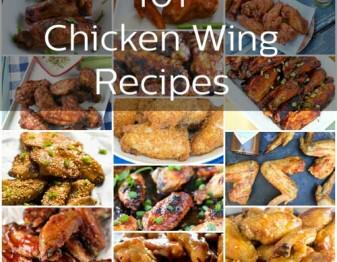 Cook the wings for about 20-25 minutes total. Start by leaving them on there, lid closed, for a few minutes. Then use big tongs to have look underneath them all. Some tend to get darker faster due to hot spots on the grill. If some are starting to char too much, flip those over. Keep monitoring and flipping as they all darken. If a few pieces seem to be dark before others, shift them to a cooler part of the grill. They'll keep cooking but not browning. 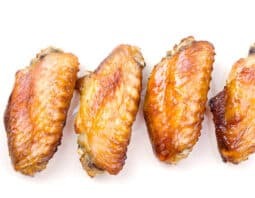 After about 18 minutes of flipping and moving them around as needed, use an instant read thermometer in the center of a few wings to make sure that they've all reached 165ºF. If some aren't quite there, give them another 5 minutes. What you want are wings that are nicely charred on all sides and cooked through. 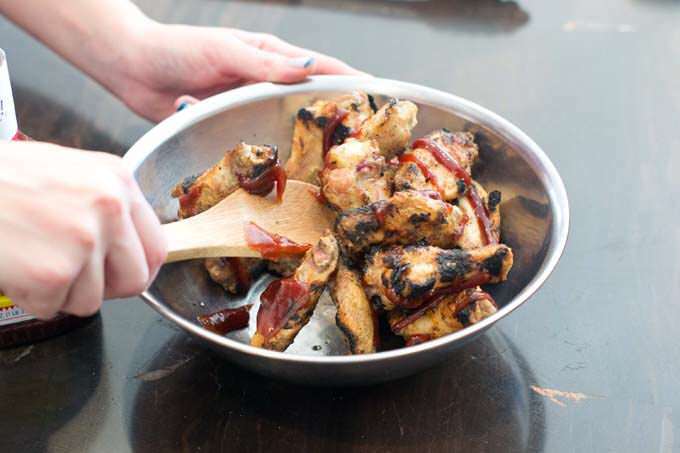 Use tongs to transfer fully-cooked wings to a bowl. Add BBQ sauce. Start with 1/2 cup. Toss. 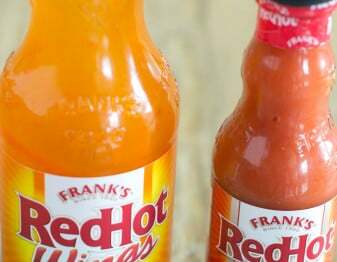 If it's a strong-tasting sauce, don't add more. If it's milder, add up to another 1/4 cup. 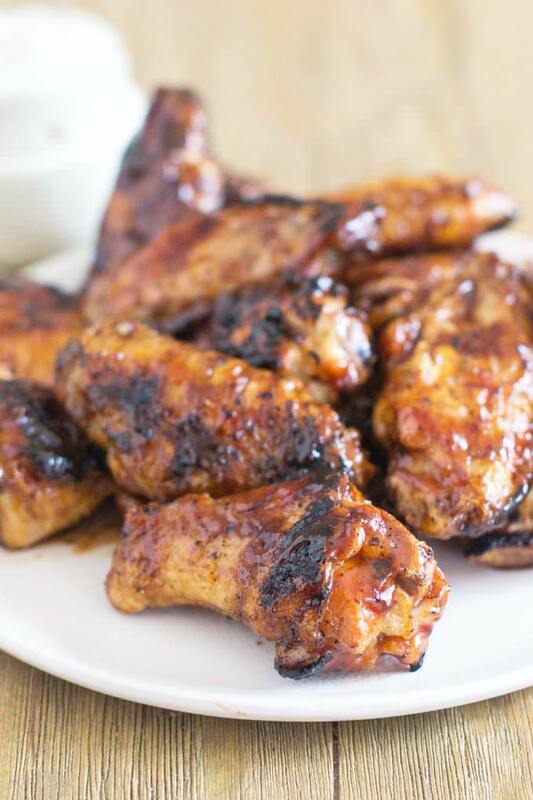 Get the low-down on how to grill wings from #thecookful. It’s super-easy and delicious. This post was originally published in January, 2016 and was revised and republished in February, 2017. 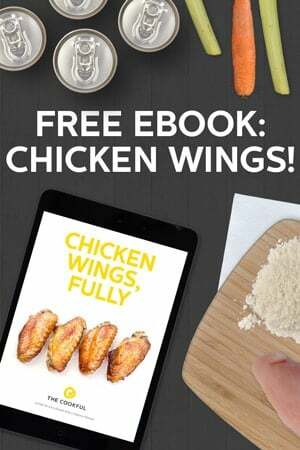 Thanks for sharing the wings recipe. Simple, yet effective. I’ll let you know how it goes. Great post. 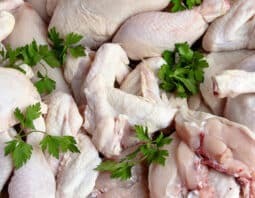 When I make a whole chicken, I also hit it with heat at first to crisp up the skin. 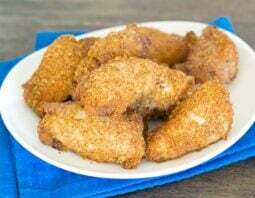 I think I’ll make up some wings this weekend. Quick, easy, and delicious. If you aren’t getting crispy skin on a grill, you aren’t doing it right. First, get a charcoal grill. 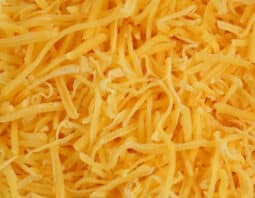 If grate to grate distance is 5″ (Weber 22″ Kettle), cook indirect by piling coals on both sides. If distance is 9″, a single layer of coals for direct cook will work fine. Cook time is 45-60 minutes. If direct method, flip halfway through. If indirect, that is optional. 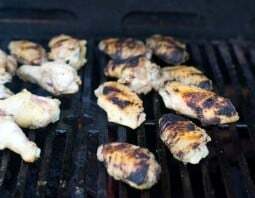 For extra smoke flavor, add your favorite smoke wood chunks (just 1 or 2), a few minutes before you put the wings on the grill. 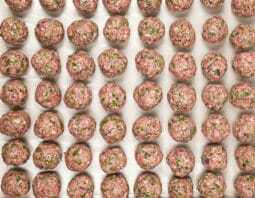 Great tips Christine, especially not taking time to marinate…totally makes sense. With grilling season upon us, I’m trying this soon. Thanks.